At NeoCon, HOK design experts Kay Sargent and Betsy Nurse explored the ways in which workspace design has gone beyond open plan. It’s time to stop the debate about open plan and instead focus on the user experience, a leading workplace strategist told an audience of design professionals at NeoCon, the world’s largest trade show for commercial interiors. “We know that open plan was not right for everybody and it absolutely has some flaws,” admitted Kay Sargent, Senior Principal, Director of Workplace at HOK, who spoke in tandem with Betsy Nurse, HOK Director of Interiors and co-authored a related article. “When everybody keeps saying how much they hate open plans I say, ‘I know. That’s why we haven’t been doing it for 15 years. We’ve gone beyond that. There’s a lot of different options and there’s a lot of different choices,’” she emphasized. 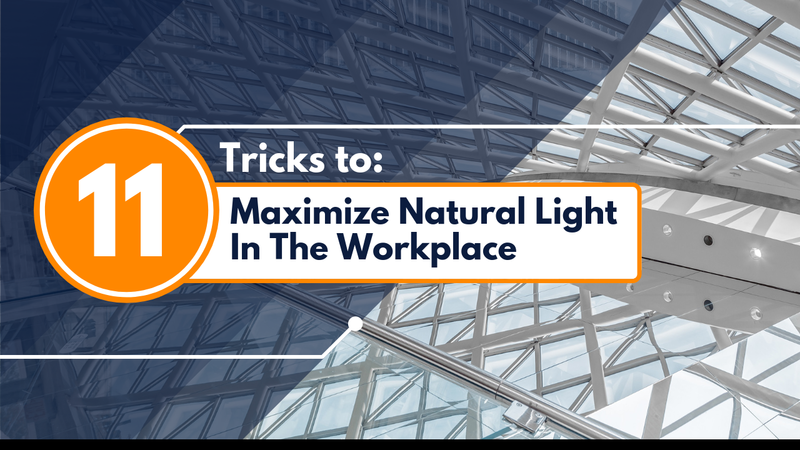 Today’s more advanced planning variations allow companies and workplaces to tailor the solution to fit their particular culture and DNA. 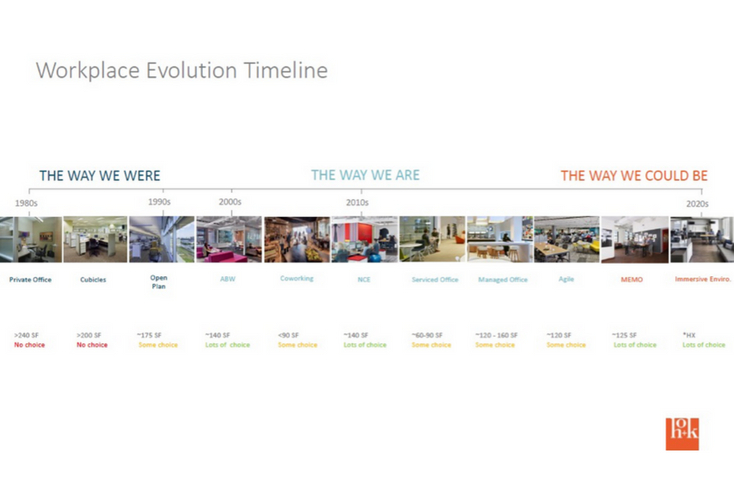 To put the newer planning styles in context, Sargent and Nurse gave a chronology of the office environment. At NeoCon, design experts Kay Sargent and Betsy Nurse from HOK emphasized how changing design enables the office to fit its occupants’ culture. “The cubicles of the 1980s reflected the nature of work at the time,” said Sargent. 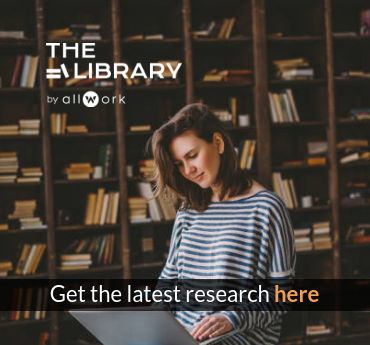 As the nature of worked evolved, research revealed how workspaces can foster engagement, satisfaction and productivity. In the early 2000s, Activity Based Workplaces (ABW) emerged. Open plans resemble one room efficiency apartments, according to Sargent. “Everything is right there. You never have to move. You can’t really move. You don’t have a lot of choices and you’re stuck,” Sargent described. Similar parallels arise relative to privacy. “In the house the kitchen is a very public space and then as you go towards the bedroom, it’s a very private space,” offered Nurse. “For Activity-Based Working, we learned that not everybody works the same,” she noted, necessitating quiet spaces for heads down work. Today, the most progressive companies are adopting planning styles to suit a workstyle that is a far cry from the 1980s. 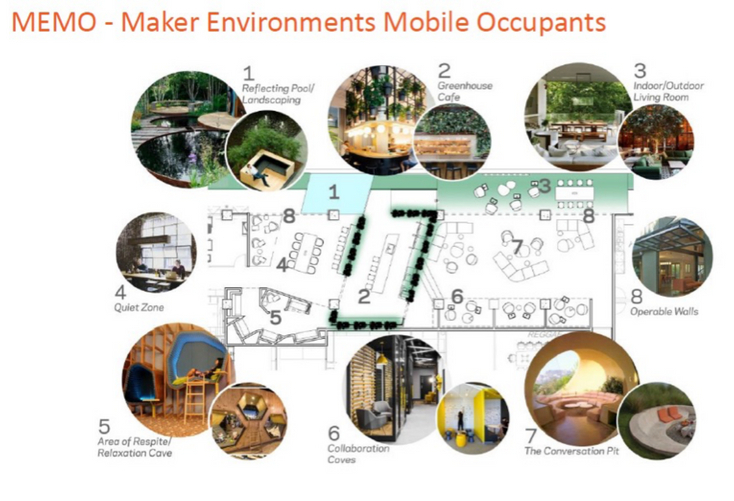 Options include Agile Environments; Maker Environments, Mobile Occupants (MEMO spaces); and Immersive Environments. While agile is often used to describe flexible or mobile spaces, Agile Programming (Agile with a capital A, as Sargent emphasizes) is like a Manhattan Project when a cross-functional team is brought together to solve a specific problem and is placed in an environment to solve that problem. Spaces are typically designed for about eight to ten people at any given time with project timeframes averaging about 18 months. The concept of Agile spaces has been adapted by other industries as a tool to innovate and stay competitive. Enter Mobile Environments Mobile Occupants (MEMO). Whereas Agile spaces contain designated teams within a defined space, MEMO spaces are bigger areas that spill over into the larger workspace, creating an environment to spur innovation among a broader set. 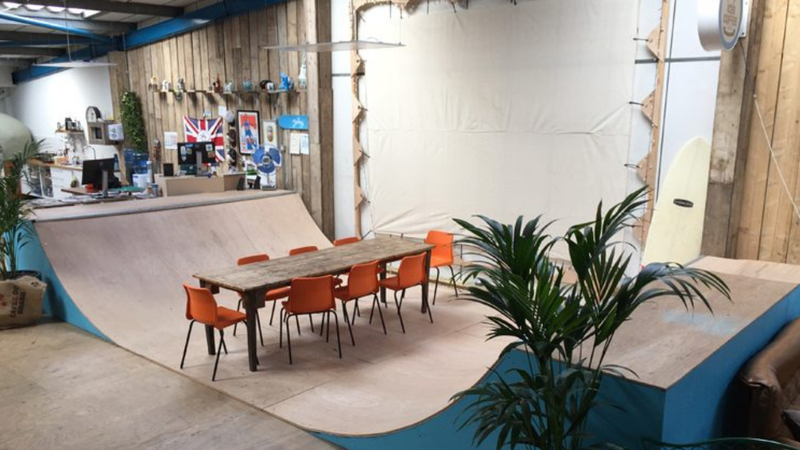 Spaces embrace the entrepreneurial spirit seen in tech’s scrum or maker rooms. MEMO spaces are, “Well, why do we just contain that to one room? Why don’t we bleed that out through the entire space and make everybody feel like they’re entrepreneurial?” Sargent noted. MEMO spaces foster innovation by providing multiple types of space – including quiet spaces, reflective areas, collaboration spaces and conversation pits. Community and identity play a large role in MEMO spaces. “Instead of their personal space, they actually want the rawness of their people and what they’re doing to be expressed, so having that access to others, seeing other people, having all of the work spaces open and fluid to each other is very much the spirit of what MEMO spaces are about,” Nurse noted. 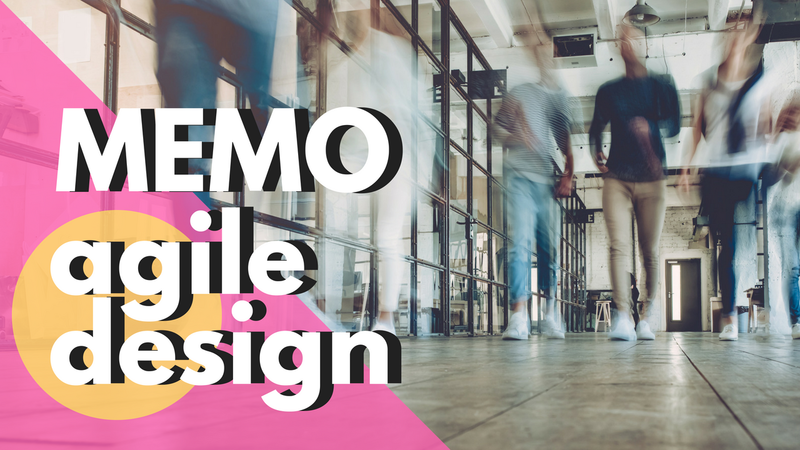 Agile and MEMO spaces, in which teams are “sequestered” in their own environment for a finite period of time to focus on innovation, provide particular opportunities for coworking operators. Locating a team or teams offsite in a coworking space is an increasingly popular strategy to spur innovation, and some companies such as IBM, Microsoft and Verizon have tested the creation of their own coworking spaces within their portfolio. Space designed to support cross functional project-based teams working in close proximity, so they can collaborate, track and deliver the project. “Scrum” spaces bleeding out across the whole office to create a scrappy, entrepreneurial space with a variety of settings. “We can’t really describe to you what an immersive environment is, because an immersive environment is when you don’t care what other people are doing or what the trends are. What you care about is what’s right for you and your company and you stop focusing on the trends and square foot per person,” Sargent said. Looking forward, immersive environments abandon many traditional planning guidelines, but pull from a variety of concepts to create a highly tailored, curated space. While the tendency may be to get caught up in the square footage per person, Sargent warns that is looking at the wrong metric. In her experience, CEOs are more focused on human centric metrics. Twenty years ago, we were asking different questions than we are today, Sargent notes. “Ten years ago, we said, ‘Okay. Well, we’re going to look at more types of workstyles and figure out what types of spaces can accommodate those activities,’” she continued. “Now, we’re asking about what experience do you want your employees to have? What experience will enable them to be more productive? What experience will connect them to the brand and to the consumer or to the client that this space can embody?” she explained. “So, it’s all about the experience and that includes the service,” added Nurse. “More and more we are seeing facility managers transform into community managers,” a concept introduced with coworking. With the Internet of Things, buildings are becoming more and more automated. Today it’s about creating a space people want to be in, with a sense of community, convenience, choice and service. The key is being able to blend them all together to create a variety of rich experiences AND a holistic sense of place. How? Focus on people, create communities, improve wellbeing and provide balance and choice. “The important takeaway is to understand that staying the same is not an option,” Sargent emphasized.